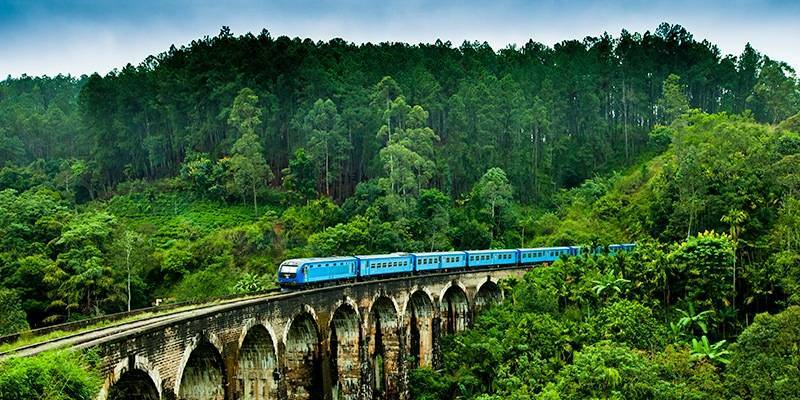 Aptly named “India’s teardrop”, Sri Lanka is one of the more recent nations to rise up in the field tourism. With every passing day, it has slowly turned up on the frequent traveler’s list of go-to places. It is also India’s closest neighbor in the south! Every human has Sri Lanka to thank for if they’re particularly fond of tea. 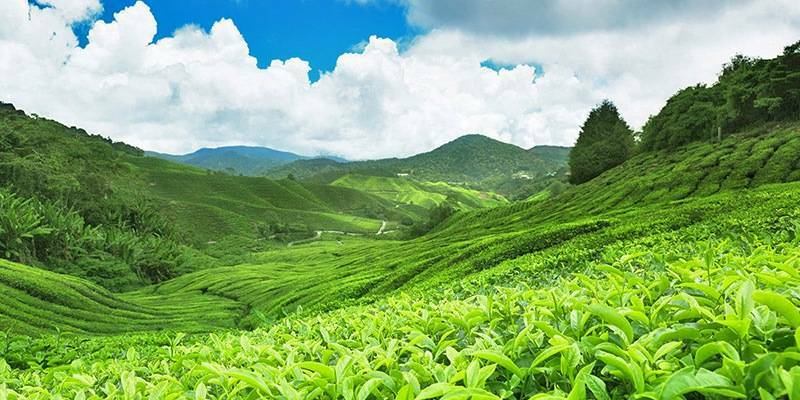 It is the world’s largest tea exporter. It also has one of the oldest flags in the world. And it’s the first country to have a woman serve as Prime Minister! If you are traveling to Sri Lanka, then this is the Sri Lanka travel guide you need to read to plan your trip. With its sun kissed beaches, pockets of forests, cobalt blue waters, colorful three wheelers, majestic architecture, flavorsome food and diverse culture, Sri Lanka’s massive impact on all of its visitors will leave them begging for more! Here’s our ultimate travel guide to Sri Lanka for everything you need to know to help you travel around this spectacularly beautiful island. 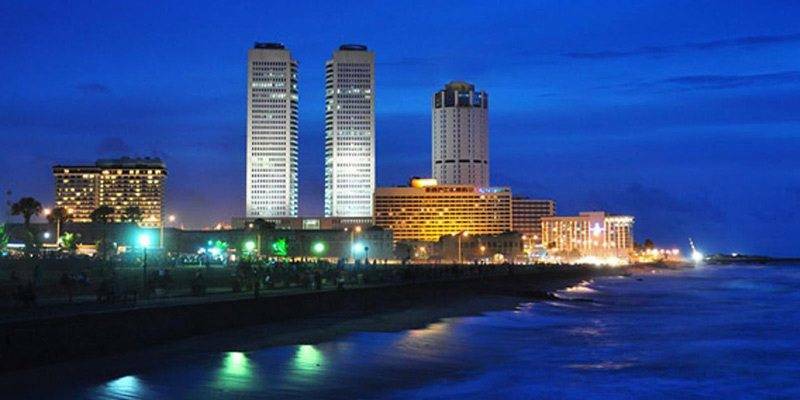 Colombo, Sri Lanka’s largest city and commercial capital has often been called the country’s ocean city. This rapidly developing metropolitan city has been noted for its colonial architecture and shady boulevards. The rather ghoulish but interesting Old City Hall implies much of its history and offers splendid views. The city’s largest park, Viharamahadevi Park,stuns visitors with its ambience and flowering trees. Back in the day the Old Dutch Hospital was known as a strong fort with colonial architecture.Today, it houses several iconic cafes, restaurants and bars making it even more so memorable. Other notable attractions include namely: Galle Park Green, National Museum, Dutch Museum, Lipton Circus, Wolvendaal Hall, Traditional Puppet Art Museum to name a few. 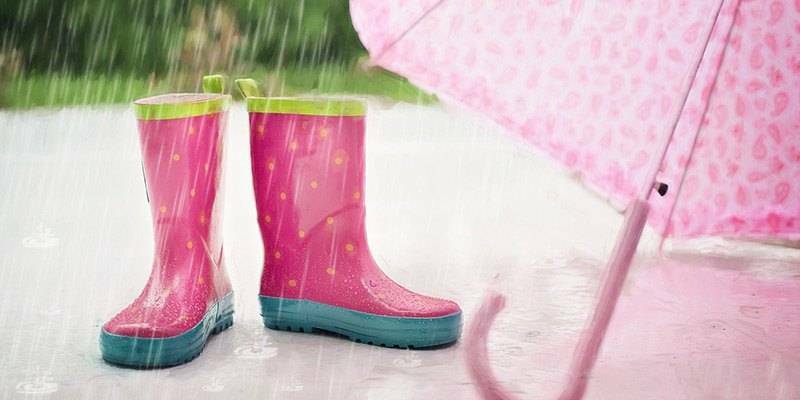 Kandy, the forested city has often faced temperamental weather, especially rains. However, once the sun shines, this vividly colorful city bustles full of life. All aesthetics aside, it has a lot to offer. The vintage Ceylon Tea Museum is a must-visit to observe paraphernalia on tea origins, processes and the country’s history with tea. 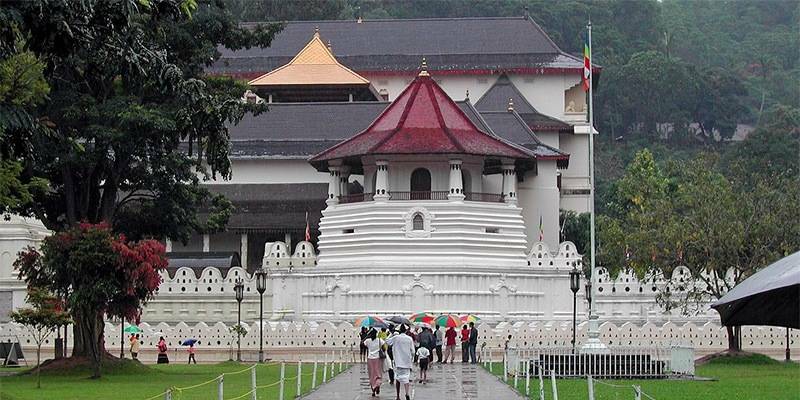 The town also houses the Temple of the Sacred Tooth Relic, a resplendent significant Buddhist temple. Sinhalese relics and royal regalia can be found at National Museum. For a pleasant leisurely stroll, stop by Kandy Lake. Other attractions here are: Asgiriya Maha Vihara, Kandy Monasteries, Devales, Udawattakelle Sanctuary, Kandy Garrison Cemetery and many more. Those having a liking for history and archaeology are bound to have a soft spot for Sigiriya. These rocky sprawling ancient ruins take its visitors several centuries back in time. The superbly detailed and engaging displays of Sigiriya Museum leaves one spellbound. The mesmerizing landscaped and water spotted Royal Gardens are a sight to behold. The intriguing Mirror Wall has to be seen. Spot celestial nymphs in the frescoes. The rocky projection of Cobra Hood Cave is nothing short of fascinating. With a rich past and crumbling remains of once majestic ruins, Sirigaya beckons visitors to drop by. 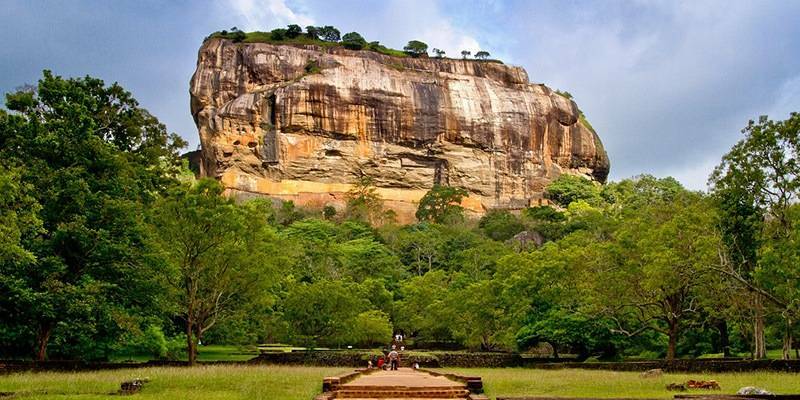 Sigiriya can be easily reached from both Colombo or Kandy. In recent times, Anuradhapura has been fondly nicknamed “City of Dagobas”. Formerly the ancient capital of Sri Lanka, today this city is widely hailed for its well kempt ruins of ancient Sri Lankan civilizations.This sprawling complex of architectural and historical ruins never fails to please visitors. Ancient pools, huge dagobas & crumbling temples are just a few of the common sights here. One of the must see attractions is the Archaeological Museum which houses relics from monasteries, plates, artworks, daily items, carvings & so on.The country’s oldest & most sacred Bodhi tree “Sri Maya Bodhi” draws in devotees from all parts of the world and is an important site for Buddhists. Dating back to the 1st century BC, the Abhayagiri Dagoba is nothing short of breathtaking. 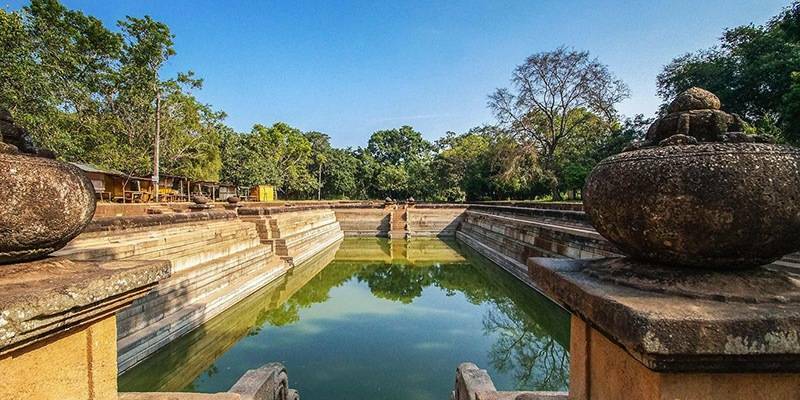 Other notable attractions in Anuradhapura include, the Gem Palace “Ratnaprasad”, Brazen Palace, Moonstone, Elephant Ponds, and city tanks. Rickshaws whiz past majestic Victorian structures, water buffaloes stand by vivid red telephone booths and much more. Such sights in Nuwara Eliya easily grab attention. Dubbed as “Little England” and with good reason, it is a fascinating symbiosis of Sri Lankan and Victorian era cultures in the modern world. Travelers seeking to escape the heat better take note of the fact that it is the country’s coolest area. 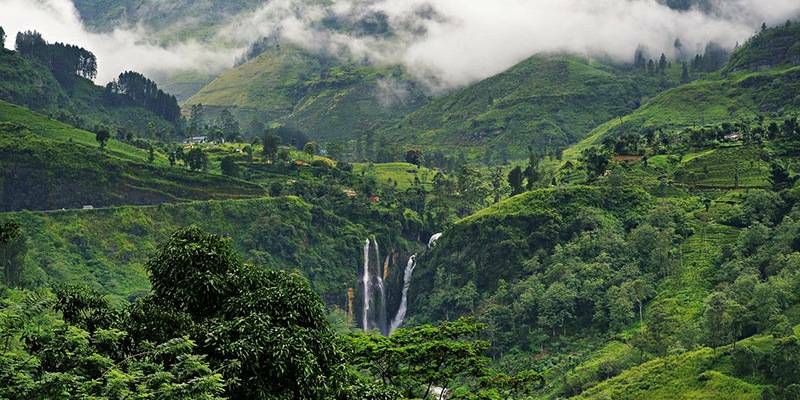 Towered over by Sri Lanka’s tallest peak, Pidurutalagala, this city has much to offer. Stop by Pedro Tea Estate, to know more about the origin of the steaming morning cuppa. Bound to be a hit amongst birdwatchers is the popular Victoria Park. It’s the hideout of various birds including the Indian Blue Robin & the Kashmir flycatcher.Those fond of boat paddling, fishing and hosting picnics can always head to Gregory Lake to spend the day. Lovers of Indian mythology can always head to two stops: Seetha Aman Temple & Hakgala Gardens, where notable events of Ramayana are said to have taken place. Other attractions include the cascading waterfalls of “Lover’s Leap” & the grassy patch of “Galway’s Land National Park”. Characterized by hill sloped tea plantations, valley growing vegetable plots & forest tops, Ella is a backpacker hub is situated in the southern edge of Hill Country. There are several natural and man-made attractions present here. Avid hikers & trekkers are bound to have a gala time at Ella Rock. Named after the nation’s most sacred mountain “Adam’s Peak”, the hillock of “Little Adam’s Peak” bears an almost uncanny resemblance. The brick & rock built Demodara Nine Arch Bridge is rather fascinating to look at. Self-professed tea lovers can always head to Halpewatte Tea Factory to know more about their beloved beverage. Ella Spice Garden gives one a better insight of Sri Lankan food & cuisine. 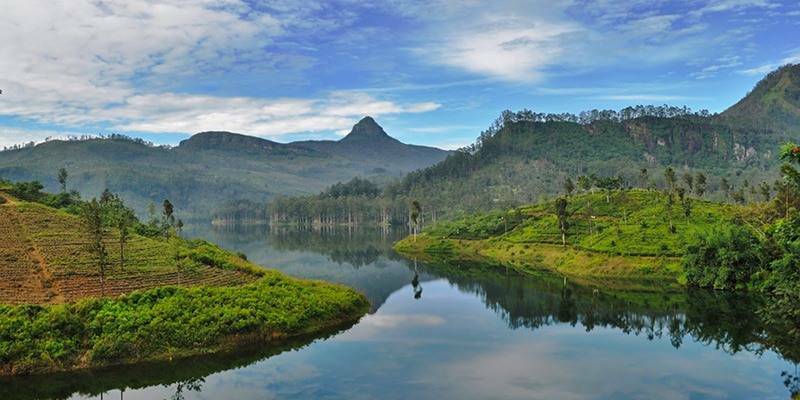 There are plenty of things to do in Ella and is one of the highly recommended places to visit in Sri Lanka. 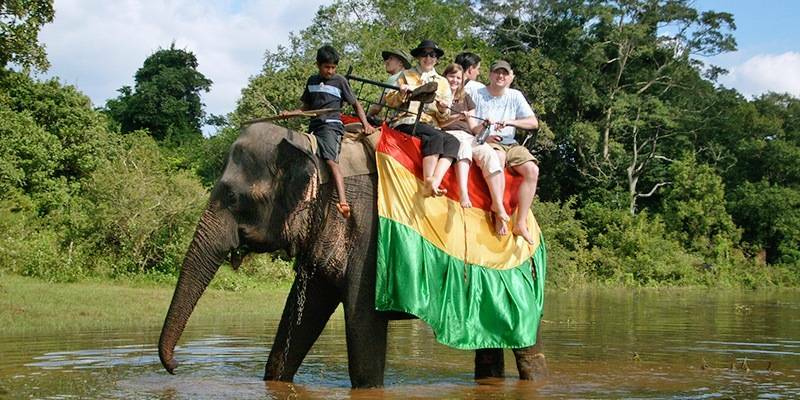 Yala National Park is the nation’s second largest & most visited national park. 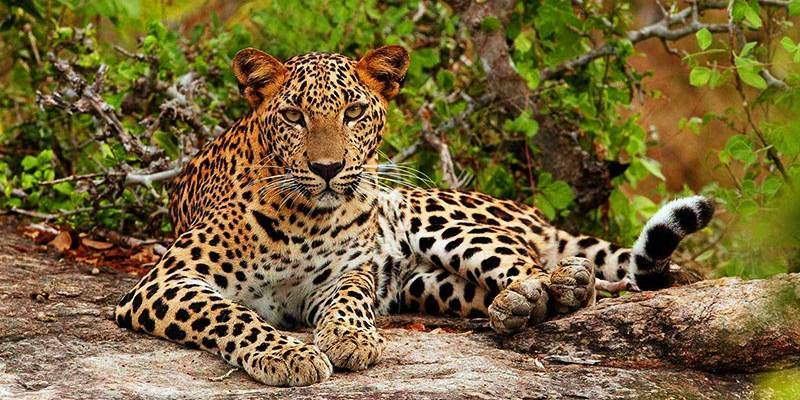 It proves to be a vital site for the protection of Sri Lankan elephants, aquatic birds & Sri Lankan leopards. The park hosts a kaleidoscope of various ecosystem which include sandy beaches, thorn forests, grasslands, fresh water and marine wetlands & more. The Yala National Park shelters a diverse range of birds such as Sri Lanka grey hornbill, blue-tailed bee-eater, black capped bulbul to name a few.This park is famous for having the highest leopard concentration in the world. Large varieties of mammals, invertebrates, reptiles, fish & amphibians are also found here.Yala is also historically significant as it has housed many ancient civilizations. Two important pilgrimage sites namely Sithulpahuwa and Magul Vihara are located in the premises. 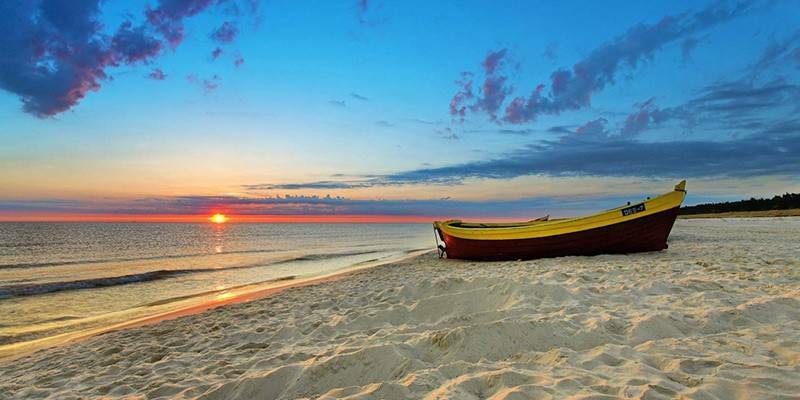 Sometimes, one simply wants to lay back on a hammock & enjoy the breeze and sunshine at the beach. Mirissa is one of those few places where this is possible. 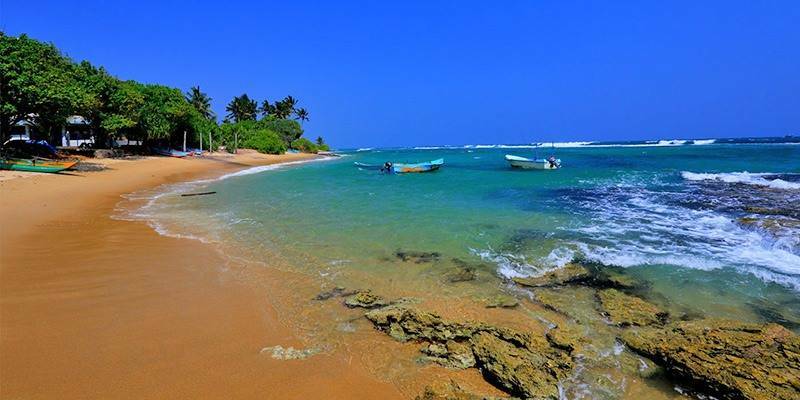 Mirissa beach is a lovely sight with a long stretch of golden sand, dense areas of coconut trees and less visitors. It’s even better in the evening when the beach is lit up giving it a fairy-like glow. The other reason this city is famous for is good food. No1 Dewmini Roti Shop is a hit amongst tourists and locals alike for its delicious kotthus & curry style dishes.Visitors can often choose among the various watersports activities here such as snorkeling, swimming, scuba diving, sport fishing, sea kayaking etc. 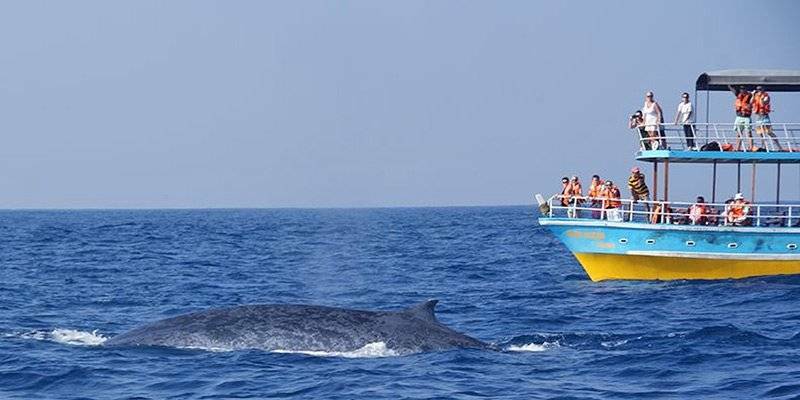 Mirissa is also a good spot for whale watching. Heads up surfers! 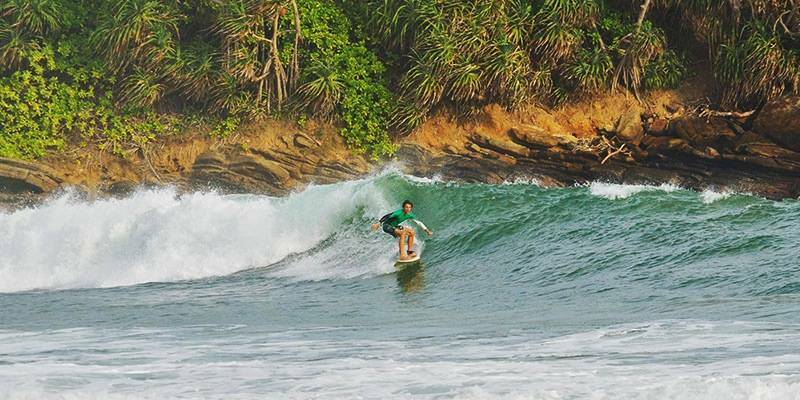 This site has undoubtedly topped the seasoned surfer’s list of go-to places in Sri Lanka. Also known as Ullai, Arugam Bay is a lovely crescent-shaped bay which is an exciting tourist & surfing attraction. Other than surfing, one can always opt for tranquil journeys through Pottuvil Lagoon’s mangroves. For the adorable sights of strolling elephants, head to Elephant Rock! It is also a place where feathered friends drop by, twice a year. Another very popular attraction present is Okanda. The coastal town of Bentota has rather interesting roots regarding the origin of its name. It is widely believed that a demon called Bern once ruled the riverbanks (totas). 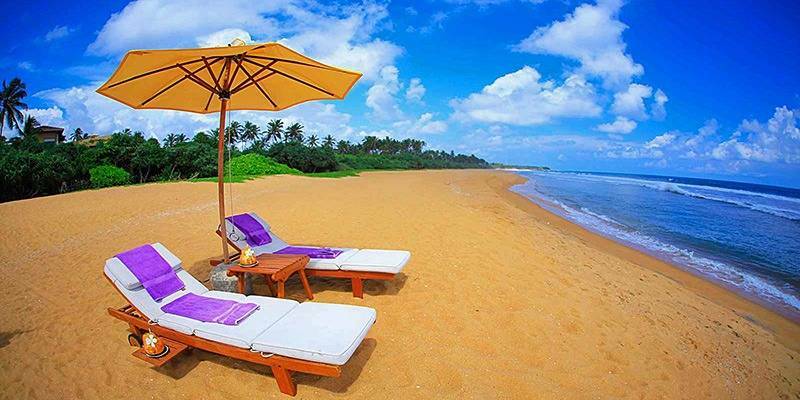 To relax near cool blue waters alongside golden sands, Bentota Beach is the place to be. To get a closer view of the beach’s most famous inhabitant, the sea turtle, one can always head to Kosgoda Turtle Hatchery which is a community based turtle protection project. The famous Buddhist temple “Galapatha Raja Maha Vihare” contains medieval period stone inscriptions, pillars, stone carvings & ponds to appeal visitors. Sri Lankan architect, Geoffrey Bawa’s Lunuganga estate comprises of a stunningly landscaped garden which houses rare flora & fauna and is open to the public. For devastatingly beautiful views of Bentota from sky high points, head to Richy Skylark Helipad for some helicopter joyrides. Adam’s Peak is a pilgrimage site popular amongst tourists of various religions. The footprint marks are believed to be those of a holy deity. The quintessential climb commences at midnight and comprises a mixture of incline climbing & 5000-6000 sturdy stone steps. The best time to visit would be January to May as there are lesser crowds. Breathtaking views and sunsets are to be revered when seen here. These hills are simply marvelous. For the best possible experience, it is recommended that visitors opt for a guided tour of the area. On a guided tour, it is possible to view nature’s beauty as well as visit some of the nearby spice gardens & tea plantations. Visitors get in- depth knowledge about the area and also get to try out spices and more! Horton Plains is a great option for some hikes. Observing unabashedly adorable friendly dolphins dive and interact with their kind makes visitors feel happy. Watching the enormous old whales such as the species of humpback whales and blue whales glide by leaves one awestruck. The best place to view this would be Dondra Point which is accessible from Mirissa and Galle. The more popular spots for surfing are mainly located in the southwest of Sri Lanka. Notable ones include Arugam Bay & Hikkaduwa. With quality waves, sunny weather, safe and cheap accessibility, every surfer’s experience has been fulfilled. The best time to surf would be from April to October. 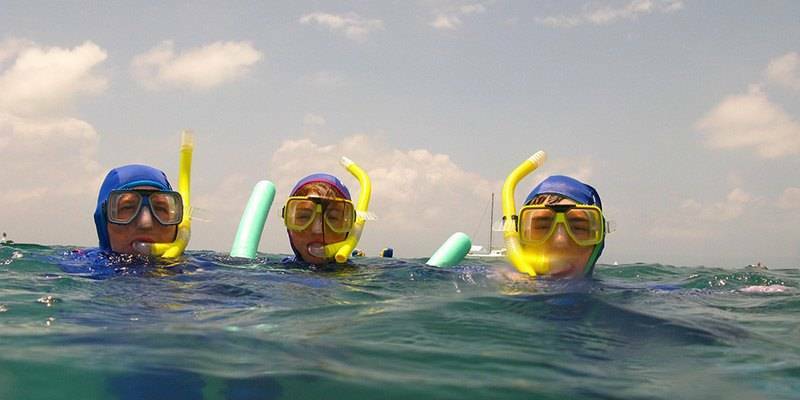 This country offers topnotch opportunities for snorkeling & diving. Thus visitors get to view delightful under-water life, colorful marine flora and fauna, devastating shipwreck sites & some ancient coral reefs. Best opportunities are available at Kirinda& Weligama. Notable sites to be explored while snorkeling are Pigeon Island & Bar Reef. 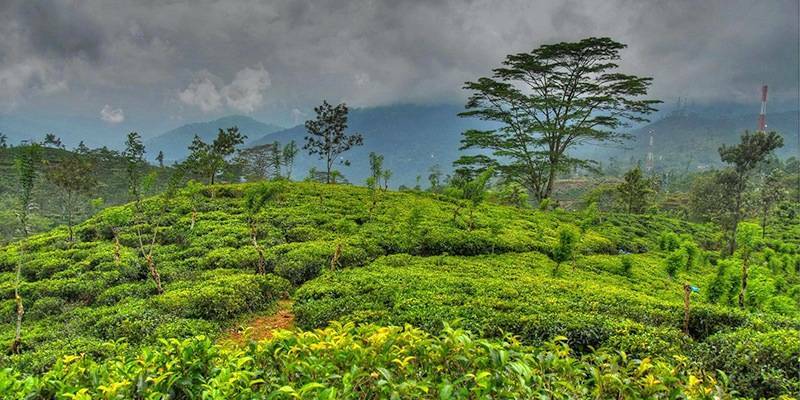 Several factories located in Nuwara Eliya offer guided tours of the factory premises and tea plantation grounds.These tours include viewing the factory processes, noting the various types of tea plants in the plantation grounds & complimentary tea tastings. Certain factories which provide such tours would be Mackwoods Labookellie, Pedro & Blue Fields to name a few. Sri Lanka isn’t a really large country. Owing to its size, travel via public transport is expected to be a time consuming and congested affair. It’s pretty much each to his own when one is aware of the pros and cons of each mode of available public transport. Local buses head to most places including the villages situated outside towns. But the disadvantage is that they’re slow, over-crowded, have no room for luggage and uncomfortable. Taxis, tuktuks, and rented cars are more comfortable, efficient and faster. The only drawback is the relative expense when compared to buses and trains. Trains are cheap, fast, provide comfort if in the 1st class and show off scenic routes. The flipside would be the limited destinations, irregular frequency, and crowded discomfort in the 2nd and 3rd class. Due to Sri Lanka facing two types of monsoons on different sides of the coast, it’s safe to say that weather isn’t exactly set like clockwork. However taking the various monsoons, temperature, and other factors into account, the best time to visit Sri Lanka is probably from December to mid-April. The reason for solely choosing this time period is because visitors can explore the whole country at their own pace with no dramatic changes in climate which would otherwise cause unpleasant interruptions whilst traveling. How Safe is Sri Lanka? 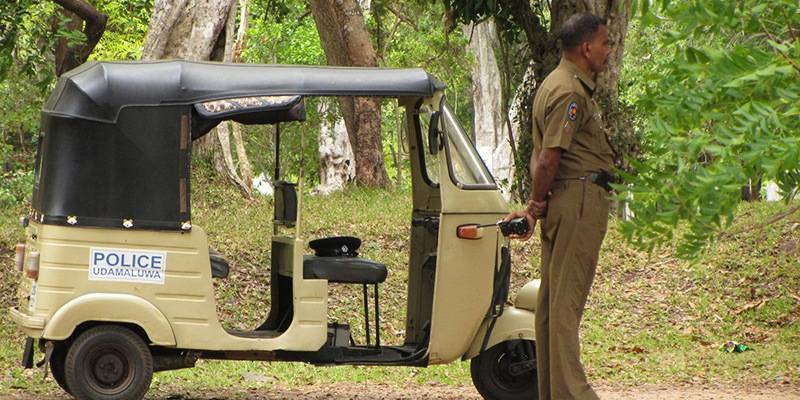 Sri Lanka is an extremely safe place where violence against foreign visitors is rather unheard of. However muggings and scams still occur but rarely, and thus certain precautions are to be taken. 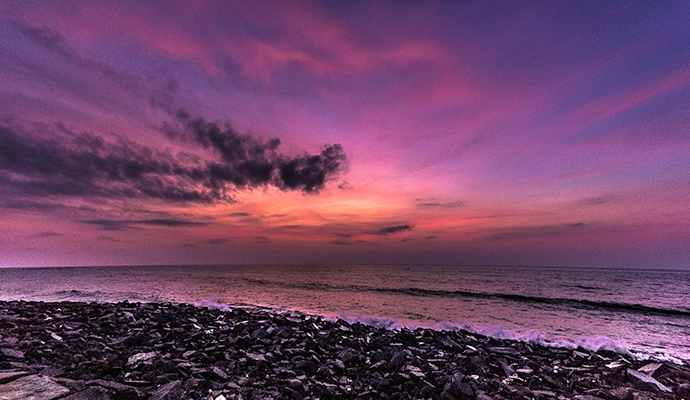 Women are advised to avoid beaches at night especially Negombo and Hikkaduwa which have notoriously bad reputations. Always take local advice before venturing into deep waters as drowning is the second common cause of death in Sri Lanka. The greater cause of danger is traffic. As a pedestrian, one is pretty much at the lower end of the safety spectrum when it comes to busy roads and streets. Scamming isn’t at large but one always needs to be wary of the people one interacts with.